The Yoga Seed Collective | Build a stronger world one deep breath at a time. Donate to give the gift of yoga. Build a stronger world one deep breath at a time. Donate to give the gift of yoga. 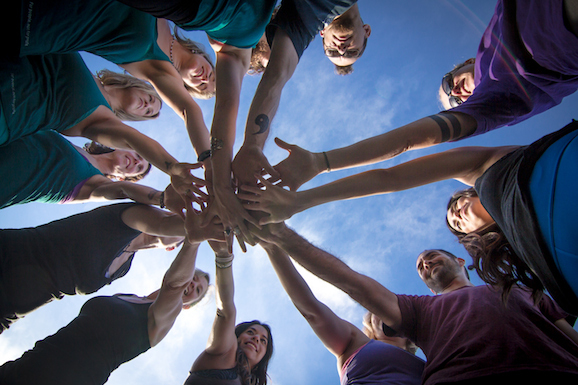 We need your help to bring accessible and affordable yoga to the greater Sacramento region. Support us by becoming a "Seed" donor at $15+/month donation to support our yoga and mindfulness programming all year round OR make a one-time donation to help fund a specific aspect of Yoga Seed's work in the community. Your donation helps us provide an affordable studio space as well as our ability to offer yoga outside of the studio in prisons, women's centers, schools and more! "Yoga Seed made me overall healthier, better rested, and I now have an easier time freeing myself of life's many anxieties." Support the Yoga Seed Collective’s mission by setting up a monthly recurring donation that is right for you. One-time gift sponsors 3-months of trauma-informed yoga in psychiatric facilities helping patients minimize stress, anxiety, and depression. Donate 100% - Add 3% so that 100% of the donation goes to The Yoga Seed Collective. The Yoga Seed Collective has partnered with Network for Good to securely process your online credit card payment via Network for Good (tax ID 68-0480736). This transaction will appear on your credit card statement as "Network for Good." This transaction is subject to Network for Good’s Privacy, Security & Disclosure Statement and the Charitable Solicitation Disclosure.